The Premier League's second derby on Sunday is in north London, where Arsenal face Tottenham. Michael Cox and Alan Thompson preview the action. "Tactically, this is a hugely unpredictable game." Sunday 14:05, Sky Sports Main Event. Match Odds: Arsenal [2.6], Tottenham [2.7], The Draw [3.6]. Tottenham travel to the Emirates three points ahead of Arsenal in the Premier League table, and on the back of two impressive performances. The 3-1 victory over Chelsea last weekend was arguably the most impressive performance the Premier League has witnessed this season, with Mauricio Pochettino's diamond formation asking serious questions of Maurizio Sarri's tactical approach. The midweek 1-0 victory over Inter, meanwhile, was a less fluent performance but demonstrated Spurs' resilience, and therefore Spurs will go into this weekend's clash in good spirits. They start this match, though, as slight outsiders. Arsenal's form in recent weeks has been less impressive, although Unai Emery also showed good tactical acumen last weekend in switching to a 3-4-3 for a 2-1 win at high-flying Bournemouth. Thursday's somewhat complex trip to Ukraine shouldn't be entirely relevant here, as the majority of Arsenal's big names were rested. Emery to continue with a back three? Tactically, this is a hugely unpredictable game. Arsenal might well continue with their three-man defence after last week's victory, while Tottenham are also capable of using that system now Jan Vertonghen has returned from injury. Arsenal's problem is the absence of Nacho Monreal, and the fact that Sead Kolasinac is more comfortable as a wing-back rather than a full-back. With Hector Bellerin capable of pushing forward on the other flank, and Shkodran Mustafi, Sokratis Papastathopoulos and Rob Holding to choose from in the centre, that shape makes sense defensively. Emery never entirely found the right balance in his three-man midfield, so Granit Xhaka and Lucas Torreira works quite nicely as a duo. Further forward, Alex Iwobi was bright at Bournemouth so could continue, but Henrikh Mkhitaryan endured a dreadful game and will surely be replaced by Mesut Ozil. Upfront, Alexandre Lacazette is a doubt so Pierre-Emerick Aubameyang might continue in the lone centre-forward role. His goalscoring return since his arrival in January has been tremendous, and his speed in behind Spurs' high defensive line could be crucial. If it's instead 4-2-3-1, Holding might be the defender to drop out, either with Mkhitaryan maintaining his place or Lacazette playing upfront with Aubameyang left. Aaron Ramsey made the midweek trip to Ukraine so probably won't start here. For Spurs, there are also several questions. Last weekend's diamond midfield worked excellently and Pochettino could well continue with that here. Dele Alli performed such a good marking job on Jorginho that he might be asked to do something similar here on Lucas Torreira, with Harry Kane and Son Heung-min again making runs into the channels. Alternatively it could be 4-2-3-1, with Son, Alli and Christian Eriksen floating behind Kane. A 3-4-3 is also an option, but Pochettino might struggle to fit his all-star front four into that system naturally. 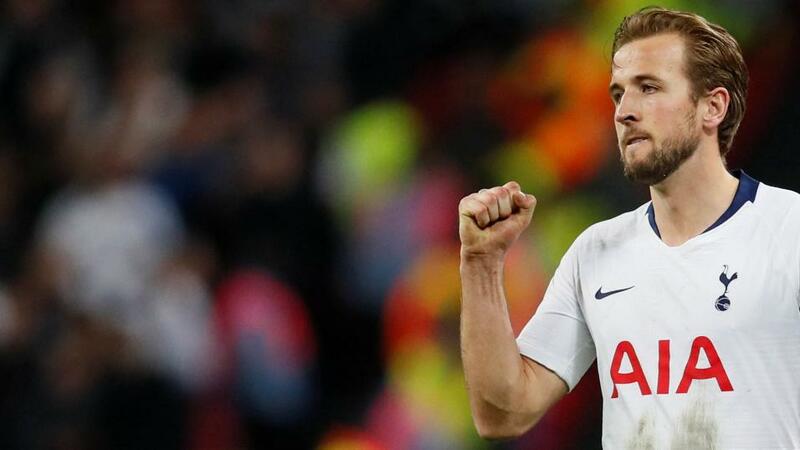 The sudden impressive form of Moussa Sissoko could be vital in a high-tempo game, while Eric Dier is sure to provide some storming early tackles. But Spurs' main worry will be in the full-back positions. Kieran Trippier is doubtful so Serge Aurier may retain his place, but either way Spurs have looked too open at right-back this season, and with Aubameyang potentially drifting to that flank, they could encounter problems. On the other side neither Danny Rose or Ben Davies have entirely convinced this season, and arguably the most consistent part of Arsenal's attacking gameplan has been the overlapping of Bellerin, who has provided some good balls into the box this season. The other consideration is Arsenal's tendency to start slowly before improving after half-time. When combined with Spurs' early pressing, which worked so well against Chelsea last weekend, we might see the away side dominating before Arsenal come back into it after the break. Along those lines, I'll go for an ambitious bet - Spurs to be ahead at the break, but Arsenal to pull off a second half comeback to win, at [25.0] in the Betfair Exchange Half-time/FT market. Tottenham have been flying high on the road this season, winning seven of their eight Premier League away days. But it was November 2010 when Tottenham last registered an away win against Arsenal and that was their only victory out of their last 25 trips to their local rivals. The Gunners are slight favourites to win this priced around [2.66] and although they have had to endure a successful Europa League trip to the Ukraine midweek, I think that price may be a little too big for a home win. The last five renewals of this fixture have seen a result that produced under 2.5 goals, however the four previous produced 22 goals including two 5-2 wins for the home side. Both teams to score ([1.6]) looks a good option and Opta stats inform us that this fixture has seen both teams scoring more than any other Premier League matchup (34 games), but that skinny price doesn’t tempt me. I think Arsenal might just have enough to win this on home turf but I think it could be tight affair. Of course, the Gunners' second half scoring record this season is well documented and they could end up relying on it again. I will be splitting my stake backing 75% on Arsenal at [2.66] in the match odds and also backing Draw/Arsenal at [6.2] or better with the remainder in the Half Time/Full Time market.